Salads are often their very best in summer—fresh fruits and vegetables simply burst forth with vibrant flavors and colors. 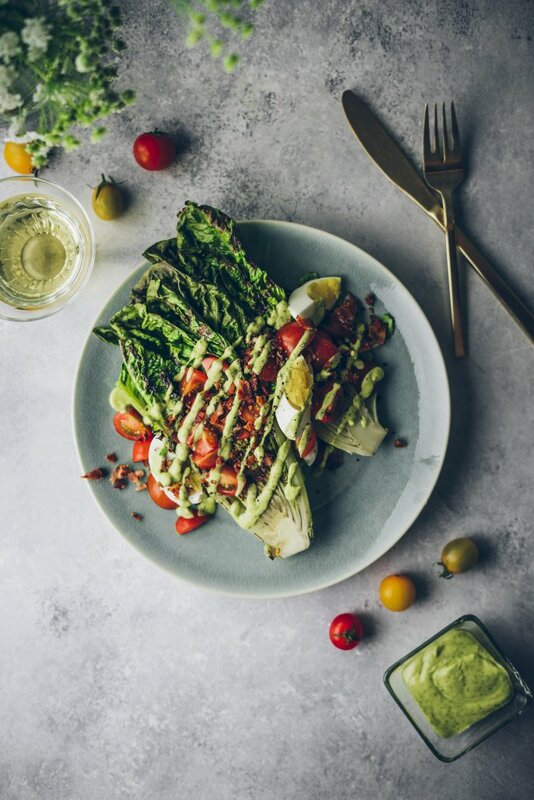 By adding smoke, a grilled romaine salad creates a flavorful contrast in which each ingredient is bright and rich, but balanced in a unique umami-like way. Add to this the fact that even the best of salads can be created on the simplest of terms, and you have a new go-to summer meal. 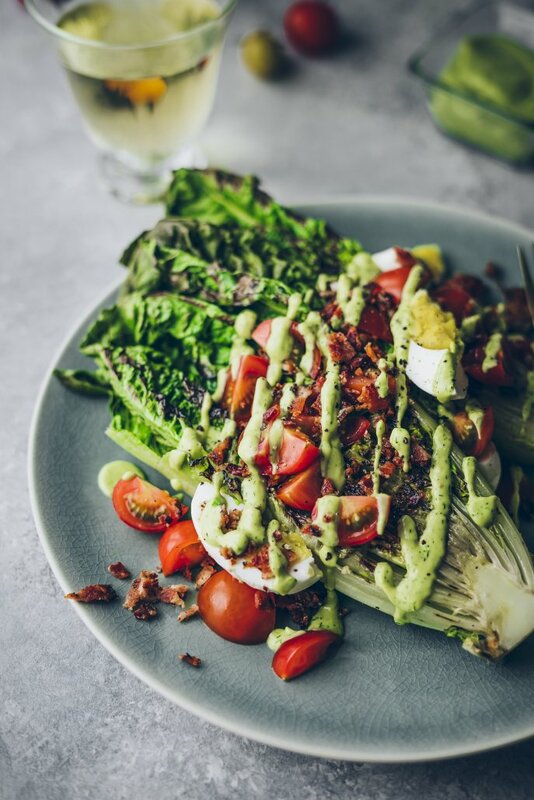 This grilled romaine salad is centered around the classic combination of bacon, lettuce, and tomato—which work together as perfectly as you’d imagine. The grilling process to which the romaine is submitted enhances its flavor and provides a char that echoes the bacon’s own. 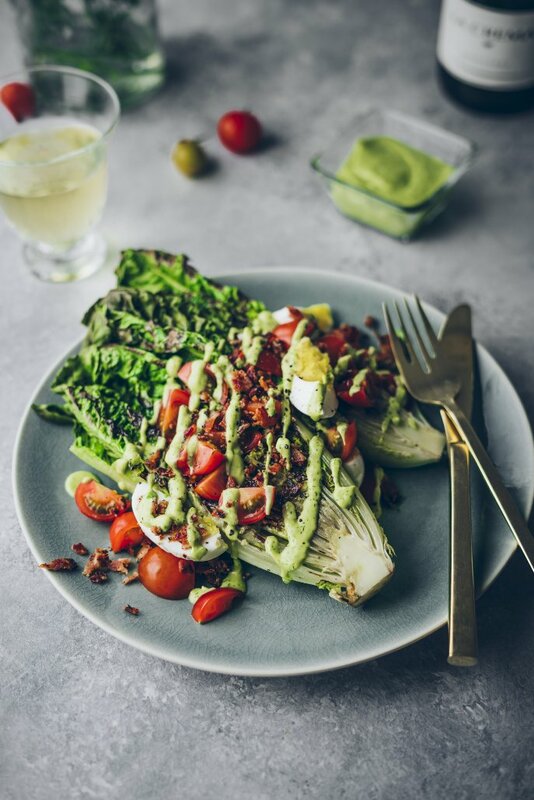 The avocado dressing is creamy and tangy, with greek yogurt cutting through the richness of the other ingredients and with dill lending a pleasantly bright herbaceous element. It’s the simplicity of the arrangement of these ingredients that makes the dish so good. There aren’t any tricks—just lovely components at peak summer freshness working brilliantly together. 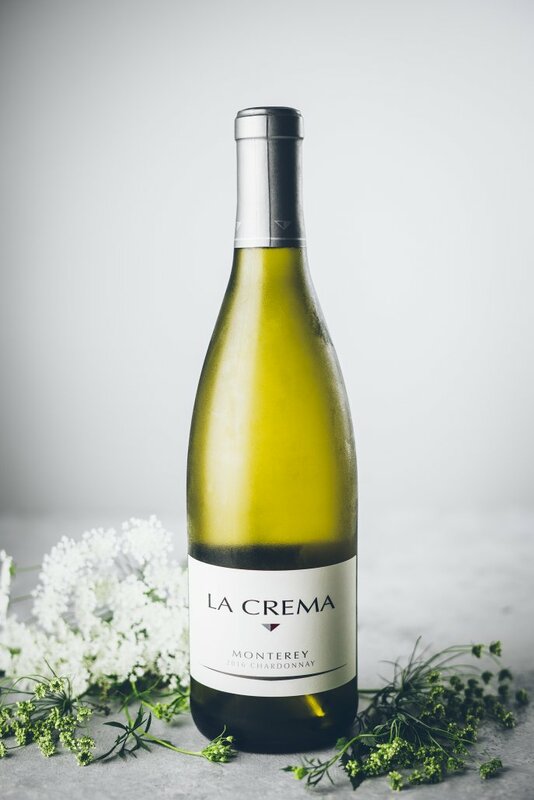 One great feature of salads is that they can generally be paired with a wide range of wines, and for this summer grilled romaine salad in particular I’ve chosen La Crema’s Monterey Chardonnay. It begins with hints of fresh fruit, specifically peach and pineapple and citrus, moving into a wonderfully acidic minerality. Notes of oyster and a shoreline aroma allow the wine to stand on its own while still complementing the dish surprisingly well. It also goes well with a second version of this salad I created featuring peaches and pecorino — find the recipe on The Broken Bread. So pick up a bottle, visit your local farmers market, and enjoy one of the freshest, brightest dishes you can have this time of year. Begin by making the dressing. Place all of the ingredients in a food processor, or blender, and process until smooth. Add the water as need (1 tbs at a time) until desired consistency is reached. Taste the dressing and add more salt to taste. Transfer to an airtight container and store in the fridge for up to 5 days. Heat an outdoor grill to medium-high heat (a grill pan set over medium-high heat can also be used). 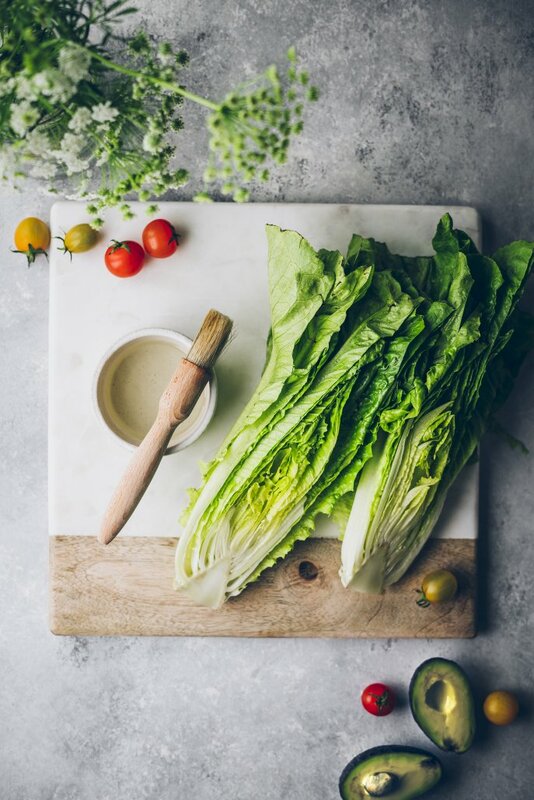 Brush each of the cut sides of the romaine with oil of choice, place on the grill, and cook for about 2-3 minutes, turning once, until slightly wilted and char marks appear. Divide each half of romaine between four plates. Garnish each plate with an equal serving of cherry tomatoes, bacon, and eggs. Drizzle desired amount of dressing on each salad with a few cracks of pepper. Enjoy these salads right away. Bright. Crisp. Exotic. Extended time on the vine creates an unrestrained flavor profile of bright rich flavors. I love being inspired by the time of the year so that whenever I cook, I am using fruits and vegetables that are at the peak of their flavor. 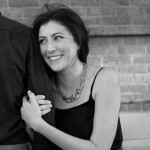 I love how cooking allows my creativity to run wild; a few simple ingredients can be turned into a meal that has the potential to express love, spark a memory, or set the stage for a lovely gathering.